We all know that powered industrial trucks (PITs) are dangerous by nature. That is why forklift operators have to train their butts off to become OSHA certified to make sure they don’t kill themselves or innocent bystanders when using the different types of cargo handling equipment in the maritime environment. Cargo handling of shipping containers is a whole new kettle of fish because accidents caused by some dingus who didn’t load the cargo correctly have severe consequences. Poor conditions at sea, like heavy winds and mountain-high waves, bring about a whole new level of danger. Every year, more than ten thousand shipping containers fall overboard and dump their cargo onto an unsuspecting sea. Half of these accidents occur because of the poor use of cargo handling equipment and safety negligence. Incidentally, falling overboard is the best outcome for this type of accident; a container falling into the ship can cause catastrophic damage. Dropping a 20-foot metal container at dockside is also a major risk for cargo workers. If you are a cargo handling employee, or you employ workers who use cargo handling equipment, you need to understand how cargo handling affects the marine environment, and how you can make it safer and more efficient. What is the Role of Cargo Handling Workers? Marine cargo handlers are responsible for a number of tasks that fall under the activities of handling cargo from vessels, cargo arriving at shipside, from docks and piers, or in-transit until all cargo loading and unloading activities are completed. Cargo handling equipment like forklifts play a big role in the retrieval, loading, unloading and transferring of goods and cargo shipping containers from docks to vessels. Safety training for working around containers and for general cargo handling equipment is crucial for equipment operators and on-foot workers because of the great risk of containers becoming unstable, falling overboard and disrupting the marine environment. Here, we give a brief description of some of the specialized cargo handling equipment used in the shipping industry. Straddle carriers – these are used port side for transporting containers on berth. Tractors and trailers or semi-trailers provide backup movement and transportation within the terminal area. Side loaders and stacker cranes, or container reach stackers, assist with cargo handling. Dockside gantry cranes are equipped with spreaders that can be adjusted to accommodate 20’, 40’ and 45’ containers. Some are also adjustable for twin fit. Some ships are fitted with their own cranes. These are operated only by personnel with the necessary training and experience. 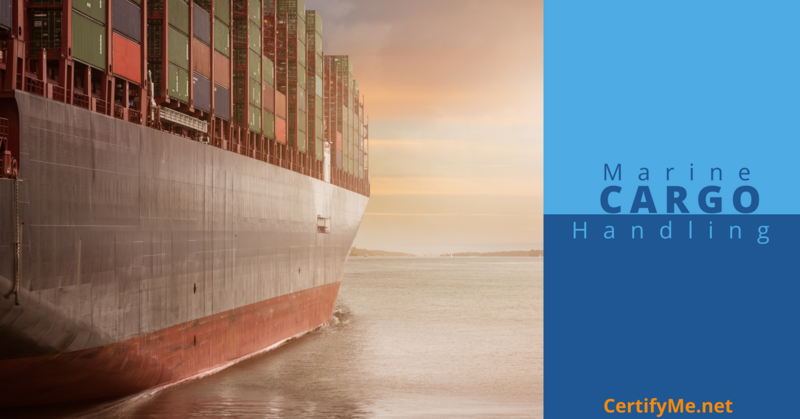 Is Cargo Handling Safe for the Marine Environment? 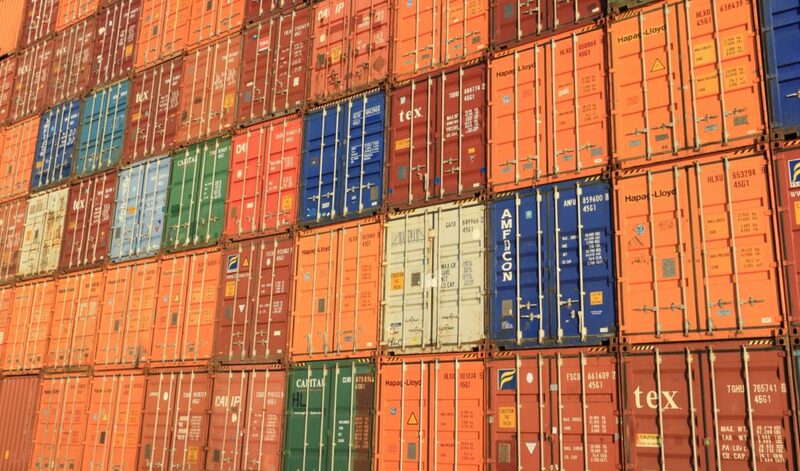 Almost 9.5 billion tons of goods are transported across the seas every year carrying cargo shipping containers to fulfill international trade and consumerism. However, is it actually safe for the marine environment? It is safe, but only when cargo handling equipment and safety practices have been used on the dock and on the vessel to ensure containers are stable and secure, and any potentially toxic materials have been stored properly. Sadly, about 2.15 million tons of dry bulk cargos spill into the oceans every year, with 100,000 tons containing potentially harmful materials to the marine environment. Examples of these materials include coal, iron, cement, grain, chemicals, fertilizers, and animal feed that can disrupt the nutrients in the marine environment and deplete oxygen to marine life. These numbers don’t even include the spillage of oil, liquefied gas, and pesticides. How Can Efficient Cargo Handling Help the Marine Environment? Because spills and detriment to the marine environment are directly connected to the handling of cargo, the efficient handling of cargo can significantly reduce the negative impact shipping has on the environment. Well-planned cargo handling on the dock and on the ship can decrease the emissions of the ship’s machinery, reduce the energy output on transports, and reduce the risk of spills and containers falling overboard. Workers involved in the handling of cargo containers and general cargo handling equipment should follow these basic steps to minimize risks and damages. Before lifting or handling, check to make sure that all doors or other moving parts on the container are secured. Check also for evidence of damage, rust or other corrosion. If it isn’t right, take the container out of use. Forklifts are one of the most common types of cargo handling equipment used, and their safe usage is of utmost importance. Only use forklifts that are fitted with side or top lift frames, unless the container is fitted with fork pockets. If the container has grappling lifting points, then grappler lifting arms may be used. If two containers are stacked on top of one another on roll trailers, they need to be either locked together or secured in some other way. The heavier container must always be placed on the bottom. For more information on general cargo handling equipment and tips for cargo handling equipment and safety, keep an eye out for future blog posts and newsletters from us. Till then, avast, mateys!